Some of the biggest and best phones over the last couple of years have come from Huawei. The Chinese manufacturer packs cutting edge tech into increasingly attractive designs, but which is best for you? The Huawei P30 Pro looks very impressive, but the Mate 20 Pro is only six months old, and last year’s Huawei P20 Pro is still a formidable phone. Whether you’re thinking about upgrading, or considering saving yourself some money with an older model, we’ve got a complete explanation of the differences between these three great phones for you right here. The Huawei P30 Pro and the Mate 20 Pro have the Kirin 980 processor inside, while the P20 Pro has the older 970. As you’d expect the newer chip is faster and more efficient. The Mate 20 Pro and P20 Pro come with 128GB of storage and 6GB of RAM or 256GB of storage and 8GB of RAM. The P30 Pro comes with 128GB, 256GB, or 512GB of storage and each version has 8GB of RAM. Only the P30 Pro and Mate 20 Pro have room for expansion, but it’s via Huawei’s proprietary Nano Memory Card. Power wise, the P20 Pro lags behind with a 4,000mAh battery, slower wired charging, and no support for Qi wireless charging. The P30 Pro and Mate 20 Pro both boast 4,200mAh batteries, speedy 40W wired charging, and fast 15W wireless charging. The P20 Pro is clearly the weakest here, but the P30 Pro only sneaks the win thanks to the extra storage option and additional RAM in the base model, which is the one most people will buy. These phones all look gorgeous on the back with interesting finishes that catch your eye. The P30 Pro and P20 Pro are clearly part of the same family with an offset camera suite on the top left, whereas the Mate 20 Pro has that central square of lenses. When we flip around front, the P20 Pro immediately shows its age with a lozenge-shaped fingerprint sensor at the bottom; the other two have in-display fingerprint sensors. The P20 Pro also has a small notch at the top of the screen; the Mate 20 Pro has a larger notch; the P30 Pro makes do with a teardrop notch, which gives you the most screen area. 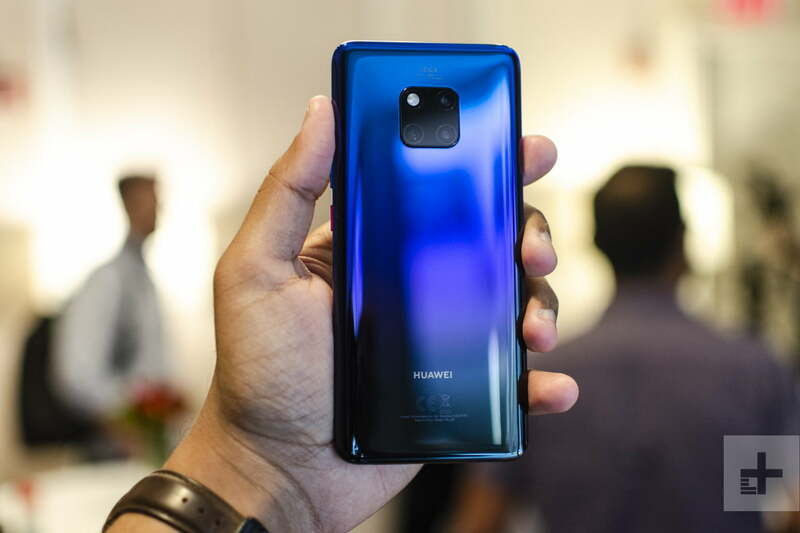 All three will survive a dunk in shallow water, although the P20 Pro is IP67-rated and the other two are slightly tougher, managing an IP68 rating. You will certainly want to get a case to protect your phone whichever of these you go for. 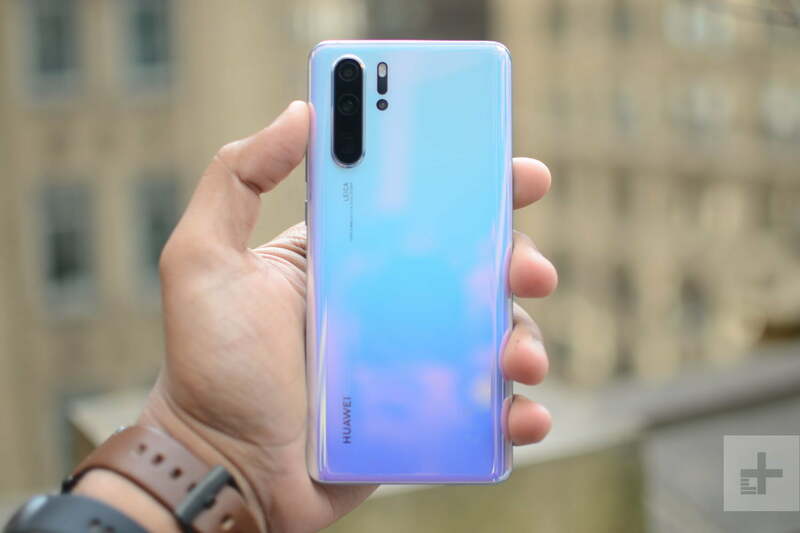 All three phones have an AMOLED display, but the Huawei P30 Pro is the biggest at 6.47 inches. It has a resolution of 2,340 x 1,080 pixels, which translates to 398 pixels-per-inch (ppi). The Mate 20 Pro has a 6.4-inch display with a 3,120 x 1,440-pixel resolution, which is 538 ppi. The P20 Pro display is 6.1 inches with a 2,240 x 1,080 pixel-resolution which works out to 408 ppi. This is tricky because they’re all great quality, but the Mate 20 Pro has a clear advantage in sharpness. You’ll find some of the most versatile cameras with the highest megapixel counts around come from Huawei. The Mate 20 Pro and P20 Pro are very similar with triple-lens main cameras that combine a 40-megapixel lens with with an f/1.8 aperture, a 20-megapixel ultra wide-angle lens with an f/2.2 aperture, and an 8-megapixel telephoto lens with an f/2.4 aperture. In the P20 Pro there was a monochrome lens, instead of an ultra wide-angle lens. Both have a 24-megapixel front-facing camera. 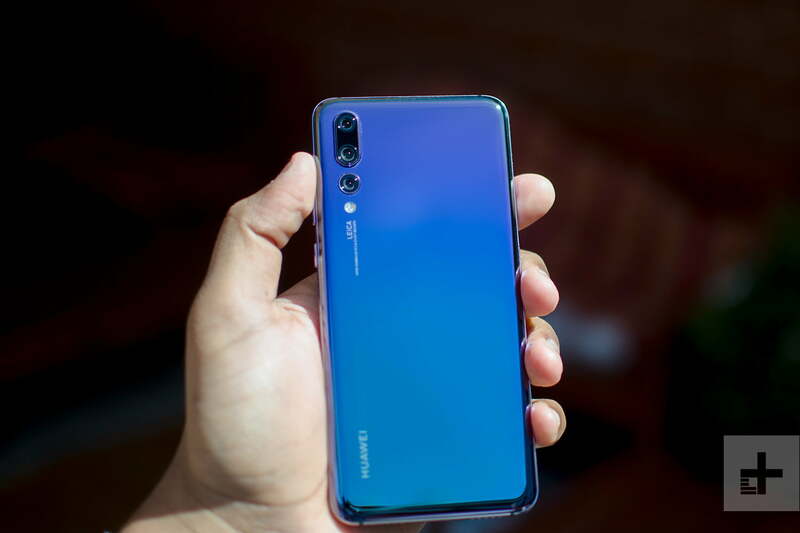 The Huawei P30 Pro takes things up another notch, combining a 40-megapixel SuperSpectrum Lens with an f/1.6 aperture, a 20-megapixel ultra wide-angle lens with an f/2.2 aperture, and an 8-megapixel telephoto lens that offers 5x optical zoom. What’s SuperSpectrum? It’s a new color filter that should let in the P30 Pro take in up to 40 percent more light. It also packs in a Time of Flight camera for much better depth sensing. The P30 Pro has an advantage around front, too, with a 32-megapixel selfie camera. Although it launched with an older version of Android, the P20 Pro has been updated and so all three of these phones are running Android 9.0 Pie, though the older two have EMUI 9 on top while the P30 Pro has EMUI 9.1, which is supposed to bring some performance improvements. Huawei’s software is packed with extras including gestures and its own digital wellbeing features. It is slimmed down a bit compared to earlier, busier versions, but there’s still a learning curve here and it will take you some time to gets to grips with the customization options. We assume EMUI 9.1 will roll out to the older phones in time, but for now it gives the P30 Pro an edge. The P20 Pro lags again. We could point to the monochrome lens, but beyond that, the other two have it beat on the special features front. Both the Mate 20 Pro and the P30 Pro have in-display fingerprint sensors, but Huawei says the one in the P30 Pro is improved and it should be more reliable. Both also offer reverse wireless charging, so you can charge any Qi-certified device with the back of your P30 Pro or Mate 20 Pro. There are also some interesting new features in the P30 Pro such as OneHop, which allows you to record your PC screen with your phone or copy and paste between your phone and PC. Sadly, none of these phones are officially available in the U.S. The Huawei P20 Pro would have cost around $1,000 near release, but you can find one for around $600 now. The Huawei Mate 20 Pro was over $1,000 on release, but it can picked up for closer to $800 now. The Huawei P30 Pro will cost you 999 euros ($1,128) for the 128GB model, 1,099 euros ($1,240) for the 256GB variant, and 1,249 euros ($1,410) for the 512GB version. It’s available now, but just like its predecessors it won’t be officially released in the U.S.
All three will work on AT&T or T-Mobile in the states, but not on Verizon or Sprint. It’s no surprise to find that the Huawei P30 Pro is the overall winner. It’s a very attractive device with a big screen, plenty of power and storage, and an incredibly versatile camera. If you already own a P20 Pro, we’re not sure the slight improvements merit an expensive upgrade right now. If you’re shopping for a new phone and considering which of these to go for, then the cheaper Mate 20 Pro may make the most sense since it comes very close to matching the P30 Pro in most areas and boasts a sharper display, but costs a fair bit less.